Pure water is the most precious liquid on our planet, essential to support life in any form. 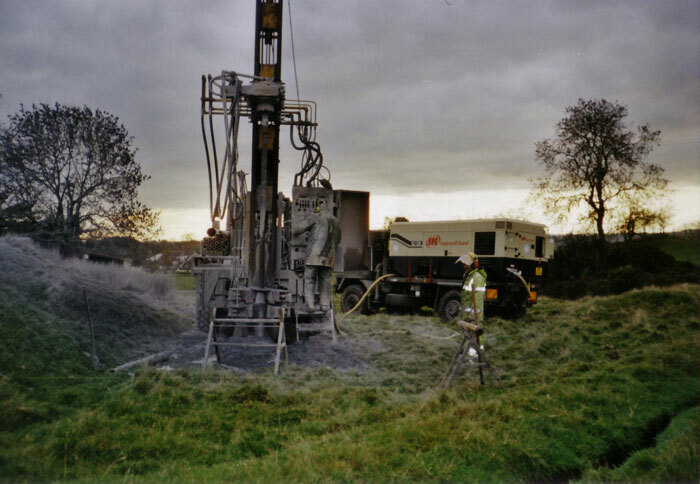 Using proven technology and many years experience in the field, we use a mobile rig to drill to the required depth to obtain an adequate water supply for your home or business. The borehole is then lined with thermoplastic casing, surrounded by a gravel filter pack through the water-bearing formation. 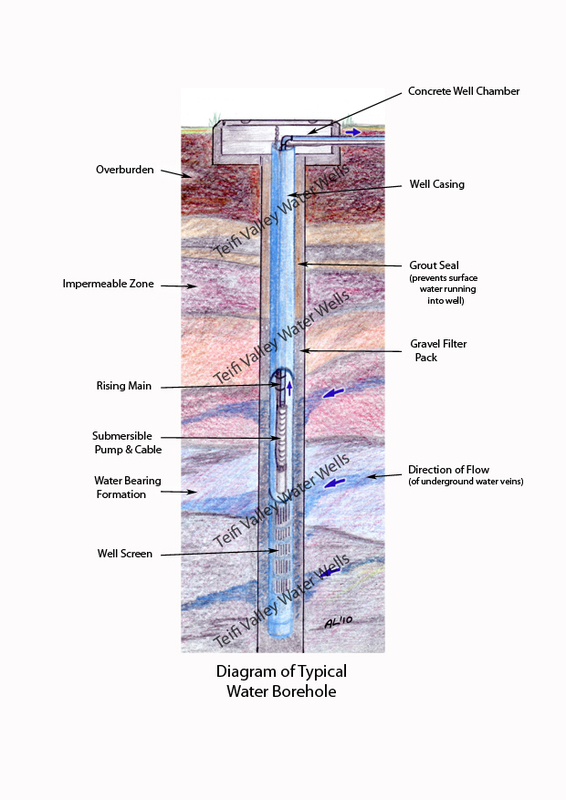 The upper levels consisting of soil and loose material - known as overburden - are sealed off from the borehole with grout to prevent contamination from surface water. A stainless steel submersible pump is lowered into the hole which, coupled to a pressure tank or water storage tank, delivers water to your taps. 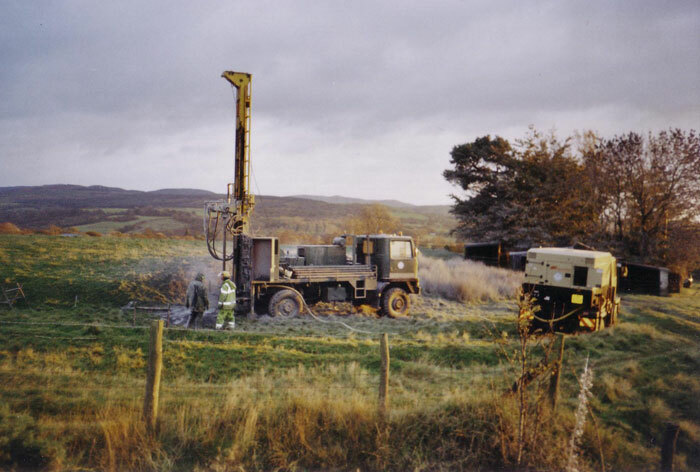 We are committed to providing a reliable water borehole drilling service to our clients, backed by a full maintenance, repair & emergency callout service throughout Wales and beyond. 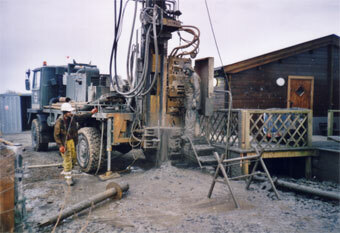 We have a drilling capability in excess of 200m (660 ft) depth, which will take care of most requirements. With mainly 4x4 or tracked machines we can access remote and challenging sites. We use only Industry designed and approved well liners, pumps, pressure vessels, water and electrical fittings exceeding the accepted British Standards. All goods are supplied with a manufacturer's warranty. 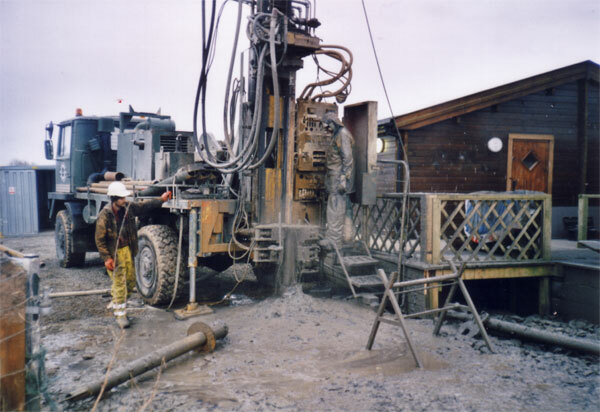 We guarantee our workmanship to be equal to the highest standard in the drilling industry. 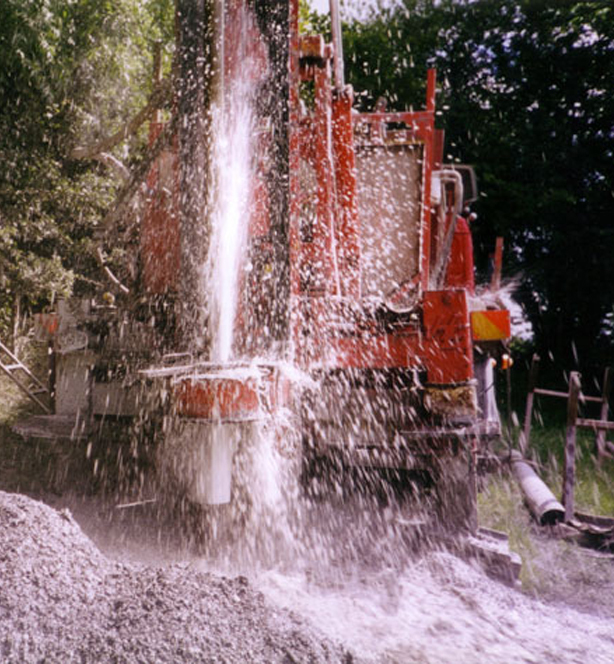 On completion of work, we issue clients with a Statement detailing depth of borehole, installed depth of DTH pump, serial numbers of all installed equipment and recommendations for maintenance. Whilst we cannot guarantee water quality, we can arrange to have water tested, and will be happy to install water filtration units if deemed necessary to ensure quality for human consumption. This service would incur extra cost. Our service includes a FREE no-commitment initial site visit and water prognosis in the course of which we advise clients as to the best options to suit their requirements. A geological survey can be done at cost. Water sourced at 480 feet depth!